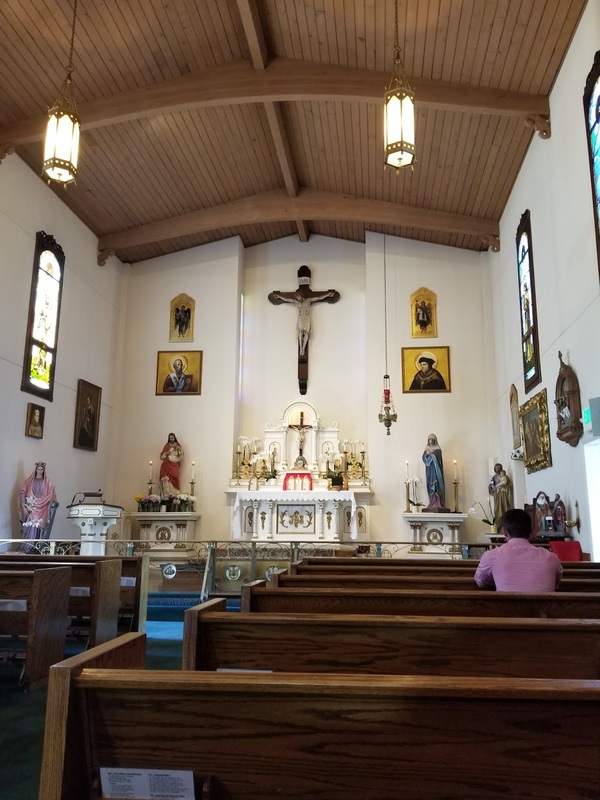 I've had the opportunity to explore the various Tridentine Latin Mass locations in the Bay Area this summer. 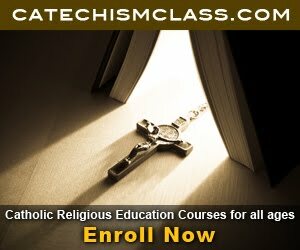 For those Catholics living in San Francisco, Oakland, the Peninsula, or even down in San Jose, there are relatively few options for Traditional Catholics to avail themselves of the Sacraments. Thankfully, there are nevertheless still options available. I've taken the time to attend Mass at these locations so as to provide an honest review. Of course, the Mass is of infinite value and renders the greatest homage to God (and is the greatest act of religion). My reviews concern the external factors of these Mass locations and include tips since not all of them were easy to find. I would always choose one of these Masses (even if it is in a modern and uninspiring church) over a Novus Ordo. Star of the Sea is a parish of the Archdiocese of San Francisco. I had written of them in the past when they made the courageous decision to rightfully only allow men to serve at the altar. The Church is quite beautiful and, at least on the Sunday I attended Mass, they had two priests hearing Confessions. The sermon was not the most engaging though and the music was acceptable though not extraordinary in quality. The artwork though was beautiful. They have a convenient parking lot as well and a large restroom at the entrance, which is quite useful for families who need a little room for the baby to have a diaper change. All in all, it was a beautiful Mass but the location is quite far for anyone living in the suburbs or on the other side of the Bay. For those Catholics who live in the city of San Francisco though, make the commute to this Church for their Sunday Tridentine Mass at 11:30. 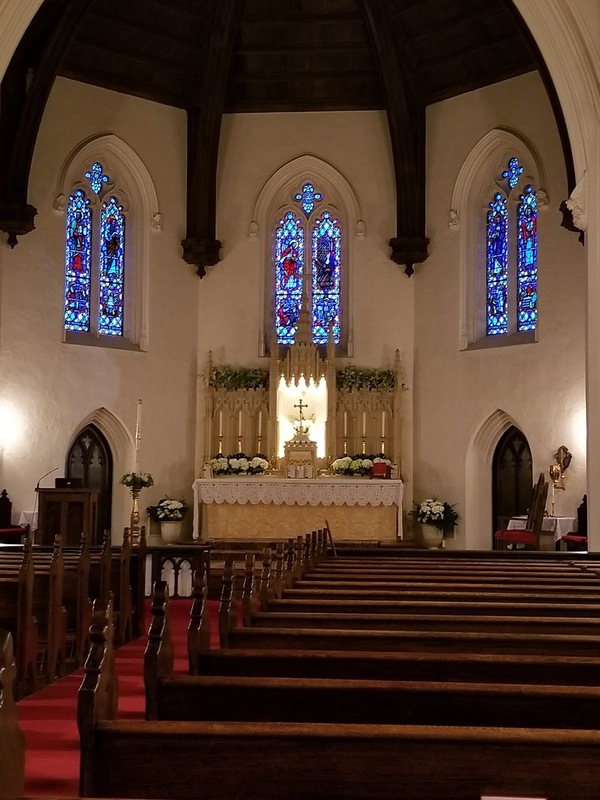 Note, this is a new time and the previous schedule of 11 AM and 5:30 PM on Sundays has been replaced with only a Latin Mass at 11:30 AM. 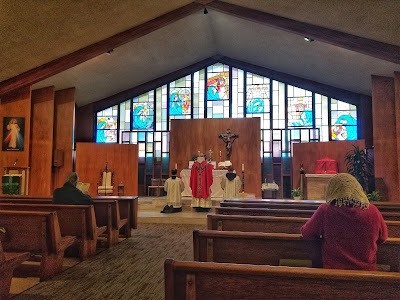 They do though offer an early 7:30 AM Daily Mass as well for those who are local to the Richmond area of San Francisco. While the parish only offers the Traditional Mass on Fridays, it is still good to see it being celebrated at all. Part of restoring Catholic tradition and restoring Christian culture necessitates the restoration of the Mass of All Times. So I welcome an occasional time rather than no time at all. 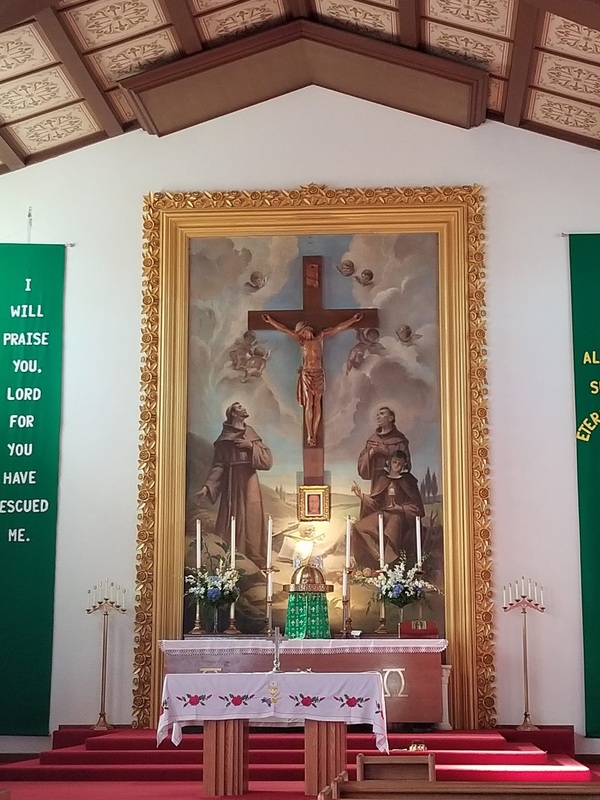 The parish itself is quite modern but they do have an inspiring and beautiful piece of art featuring St. Francis directly behind the altar. 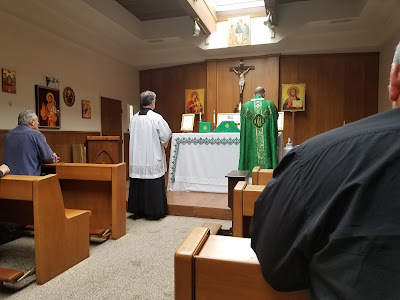 However, the Mass that I attended for the Feast of Ss. Peter and Paul had its shortcomings. The priest saying Mass was noticeably elderly and had a difficult time moving and speaking. His Latin was read very slowly. And most problematic of all, after about 15 minutes into the Mass, he began to repeat the readings in English and in Spanish and he gave an English and a Spanish sermon. Now after nearly 50 minutes had passed, we were finally entering the Offertory of the Mass. 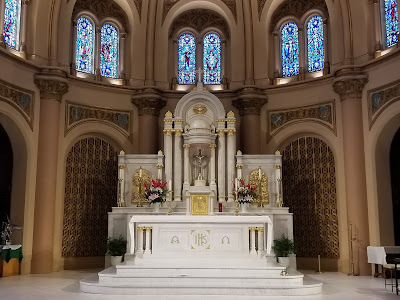 I won't be back but I pray this location helps restore some of the sacred and brings back some reverence to Catholics of the area even though this parish has some improvements to be made. While over an hour from downtown San Francisco even in non-existent Sunday traffic, the city of San Jose is easily reachable for those living in the Peninsula and those on the lower side of the East Bay. The chapel of St. Athanasius/St. Thomas More is a beautiful chapel, though a little small like many of the other chapels on this list. The place was filled with large families and Father gave a truly captivating sermon (the most captivating sermon that I heard of any of the parishes on the list). They also were offering Confessions during Mass as well. And like the other SSPX Chapels I've attended (but unlike the other places on this list), they have a large container of holy water allowing you to fill up your holy water bottles for home use. 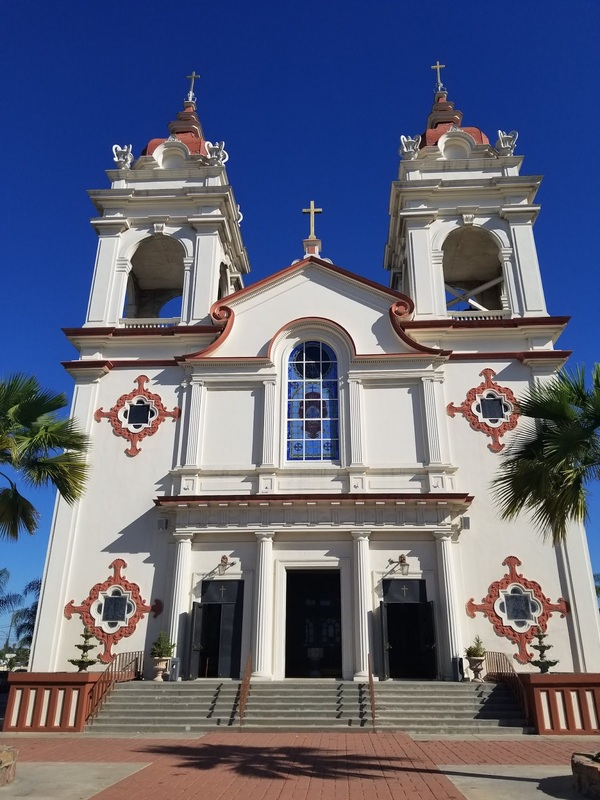 The Chapel offers 3 convenient Mass times on Sundays and even daily Mass before work for those living in or close to San Jose. I will definitely return and encourage those Catholics in the area looking for a beautiful liturgy but also authentic and non-watered down doctrine to attend Mass here. Mass Times: 9 AM and 12:30 PM on Sundays; Weekdays: 12:15 PM; Sat: 7:30 AM, except 8:00 PM, 1st Sat. 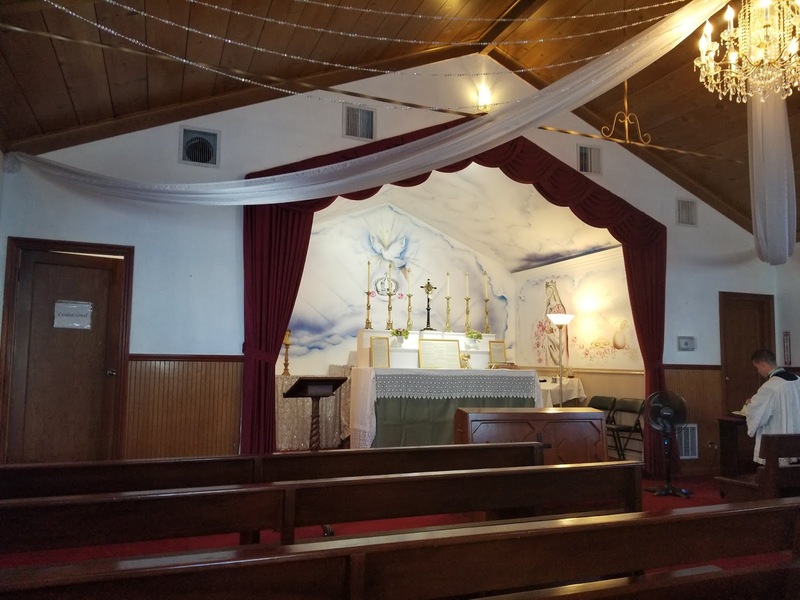 Updated in October 2018 from the parish website: "Starting on Sunday, October 7, we will be having an additional Mass on Sunday morning in order to accommodate an increased number of attendees. 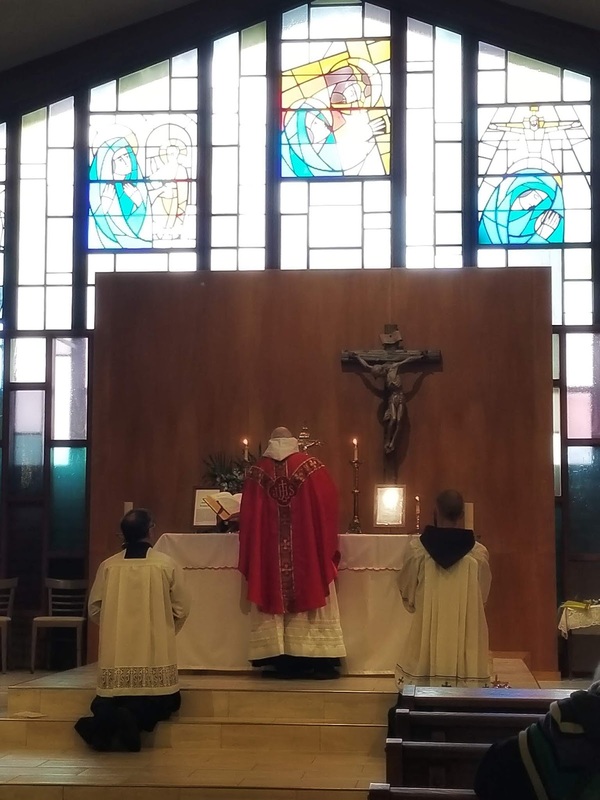 Low Mass will be offered in the IES Chapel at 8:30 a.m. and at 9:45 a.m. on Sundays." 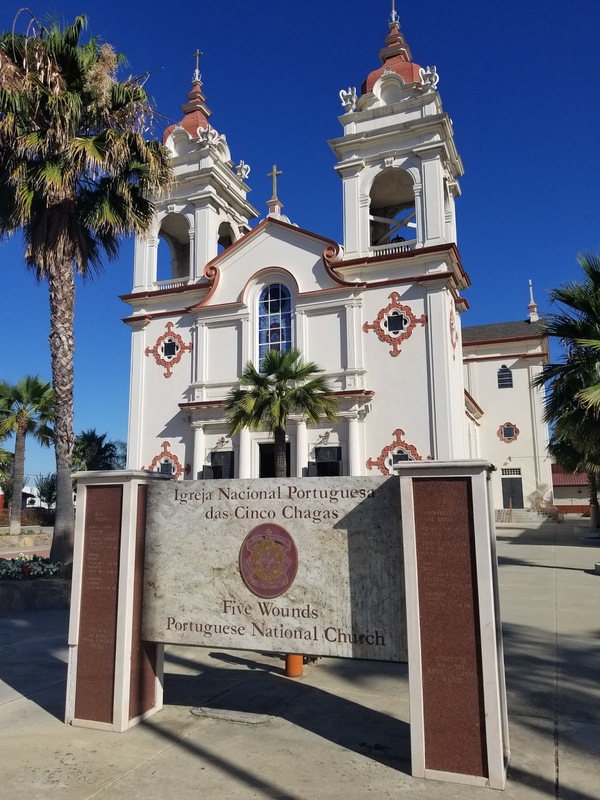 Also in San Jose is the beautiful Five Wounds Portuguese National Church. The parish church is unfortunately though only used by the Institute of Christ the King priests and is not there own so, for that reason, 60% of the collection goes not to the ICKSP or the Latin Mass but to the parish's checking account. The Mass times also change frequently in the short time I've known of the parish. For example, the Low Mass was canceled by the parish due to events for the entire month of June. And in May, the daily 12 Noon Mass was moved to 7:15 AM to accommodate the parish. 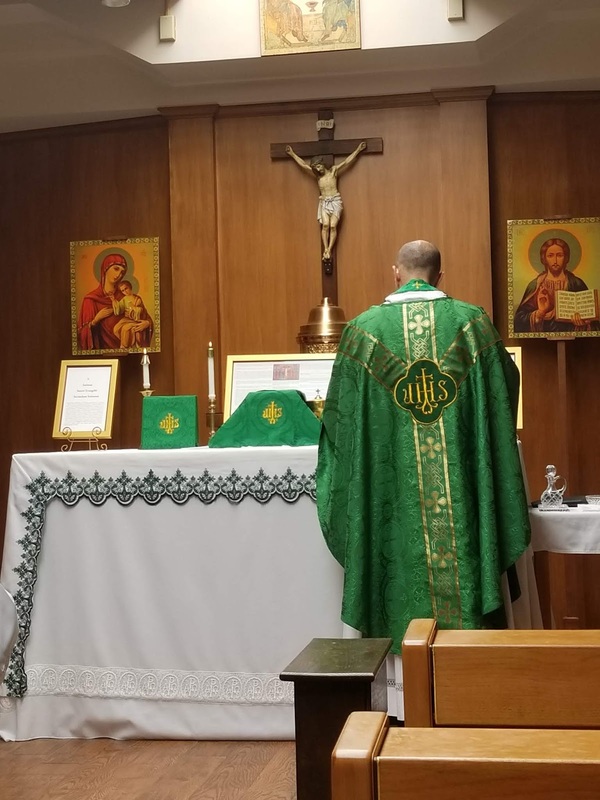 Consequently, the feeling exists that the Latin Mass is not an integral part of the parish but merely a "renter" and at the whim of the parish's decisions and frequent schedule demands. The Mass was beautiful and said with great care for the rubrics (e.g. 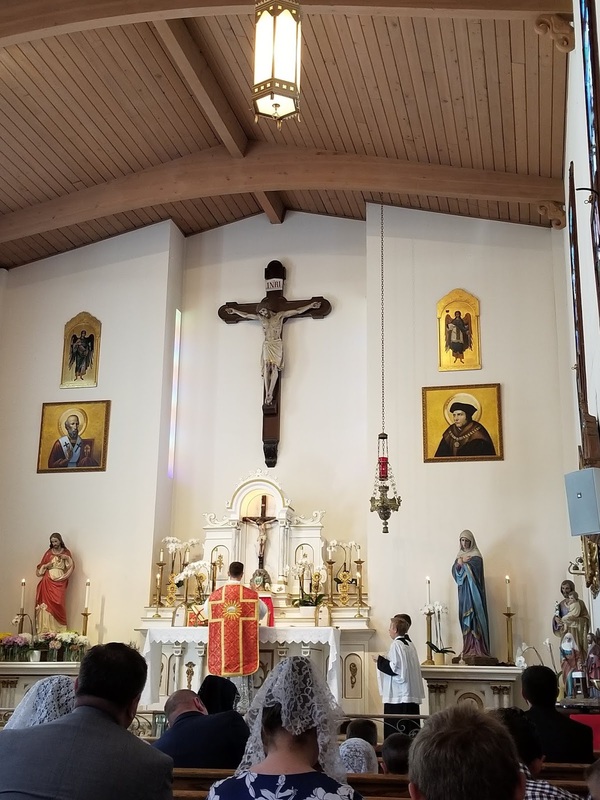 of all the Low Masses I attended in the Bay Area, only the Institue of Christ the King priests observe the placing of a lighted candle on the altar during the Canon). However, the majority of parents were having a very difficult time minding their children (at least on the Sunday I attended) and the sounds of screaming, crying, and shouting penetrated the chapel almost incessantly. These piercing sounds and the difficulty of understanding Father's sermons due to his Japanese accent made it extremely difficult to enter into the mystery of the Mass. I would not recommend attending the Low Mass. The High Mass at 12:30 PM does use the beautiful church and offers much more space even though the sanctuary has a rather hideous table altar that isn't moved during the Holy Sacrifice. Please pray for the Traditional Catholics of San Jose. Mater Dolorosa is a very modern looking parish. And like some of the other locations on this list, the priests who come in and say the Latin Mass are not a part of the parish. 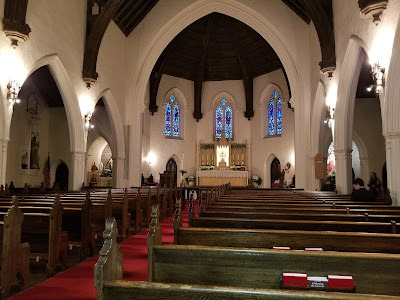 So while it's not possible to attend Mass at a more appropriate morning hour, it is still possible to attend Mass here almost every day of the week (except Saturday mornings). The Friday when I attended Mass, Mass was moved at the last minute from the main church to the monastery's chapel. While it took me at least 15 minutes to find it, it was actually on the other side of the large parking lot and in a building that looked like a house. 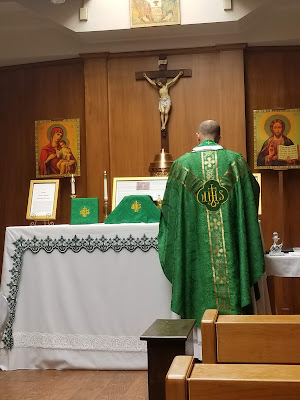 The Mass itself was beautiful - one of the most beautiful and spiritually enriching Masses I attended, as evident of the holiness, care, and reverence of the priest. The priest is a member of the Contemplatives of St. Joseph (COSJ) which say the Tridentine Mass at Mater Dolorosa even though their main monastery is down in Monterey, CA (over 2 hours south in no traffic from San Francisco). The monastic house on the Mater Dolorosa ground allows them to serve the Archdiocese of San Francisco and they do so well. They even broadcast on Facebook Live the weekly Sermon on Sundays. They even celebrate the Byzantine Liturgy at their Monterey Monastery. The downside is that the actual parish Church where Mass is said on Sundays, and all weekdays special exceptions aside, is very modernist. And also problematic, the priests of the COSJ also personally do offer the Novus Ordo. 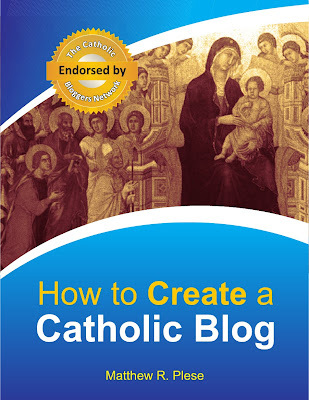 And they have no qualms about the work of Paul VI and John Paul II who in their sermons they openly praise and quote. They are what some call "conservative" priests rather than "traditionalist" priests, using those terms loosely and in the manner in which most traditionalists do. While it was admirable to see the Sanctus candle used as that doesn't always happen like it should, the image in the above pictures that was offered in the main church was said by a priest who said the readings in English from the altar instead of in Latin. Another downside, is the Masses are rather long - most daytime low Masses here are an hour. The one I attended for All Saints Day was 1.5+ hours. For a weekday Mass and since many of the people who would likely come need to do so over a lunch break, it's highly likely that it will be a bit too long. The Masses in the five times I've attended have featured a homily too on all but one time - even for feria days. I do think their Masses were beautiful and I know they are doing good to restore the love of the Liturgy - and I will likely attend their Masses from time to time - but for those looking to have both the Tridentine Mass and pre-Vatican II doctrine, I would recommend only the SSPX. The Institute of Christ the King borrows the parish church of St. Margaret Mary in Oakland. The parish itself is a great community of those united in the Faith but they have a small parking lot, are located in an area that makes it difficult to reach for those in the East Bay, and the priest's French accent makes the sermons difficult to understand. The parish is also a bit dark and lacks some of the beauty of other chapels and parishes on this list in terms of its ornamentation. The Novus Ordo priest though did kindly hear Confessions throughout the Mass (but absolution was in English and not in Latin). The sermon too, while difficult to understand, was meaningful and helpful to hear. As mentioned above, this honest recap of my experiences is in no way to diminish the value of the Traditional Latin Mass. 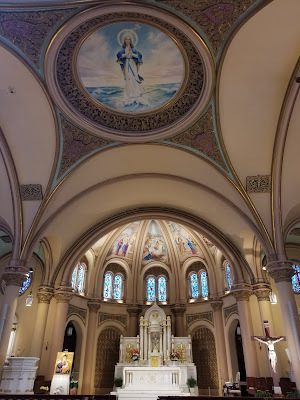 But for those familiar with the grandeur and splendor of St. Mary's in Kansas, or St. Josephs in Detroit, or the Institute's Shrine in St. Louis, or St. John Cantius in Chicago, the Latin Masses in the greater San Francisco Bay area leave much to be desired. Finding a robust Catholic Mass community that actually owns a parish, makes the TLM the centerpiece of the parish and not as an aside to the Novus Ordo, preaches powerful and yet understandable sermons, and is in a parish church that is large enough to allow regular mobility and movement is difficult to find. 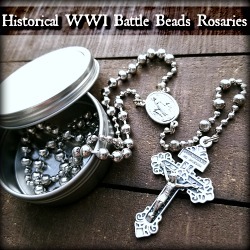 Let's keep praying for the Catholics in the Bay Area and for more places to offer the Latin Mass. 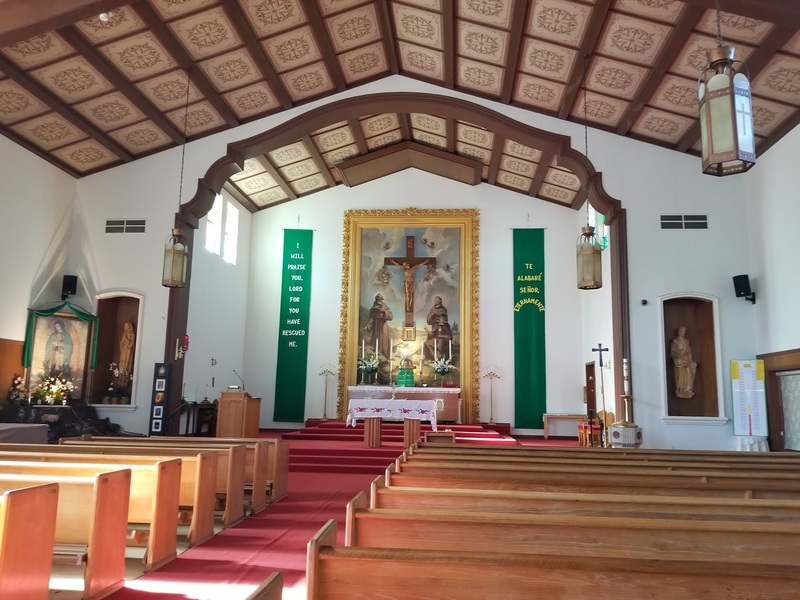 As for me, I will likely be attending the SSPX Masses in San Jose and occasional Masses at St. Margaret Mary in Oakland.